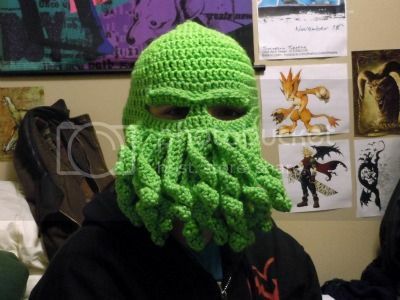 This guy’s girlfriend crocheted him a Cthulhu ski mask for the holidays. Via Reddit, who finds Cthulhu more attractive than six out of ten Floridians. Previous post: Happy Holidays, It’s Vacation Time!